Share "Skid Steer Rentals "
Skid steer loaders are among the most versatile machines a man can use when trying to complete a variety of work projects such as construction, excavation, and even agriculture. They are smaller than most heavy machines, but pack a lot of power to help you get your job done. If you didn’t know already, a skid steer is a small, engine powered machine with lift arms used to attach a variety of specialized attachments that can save you time and money. Chances are you have probably seen one along the highway or at a construction site and just didn’t know that what you were seeing was the same machine, just with different functions and attachments. Follow this article to learn how you can get one yourself for your own business or the next project you may have coming up. If you have a job that’s going to require a lot of labor, I recommend placing an order to rent a skid steer with the right attachments so you can get your job done fast. Not only can renting save you time, it will also save you money as you won’t have to purchase a traditional skid steer and the separate attachments. If you already own one, I encourage you to rent the attachments you will need to complete the job at hand. What type of attachments can you rent? 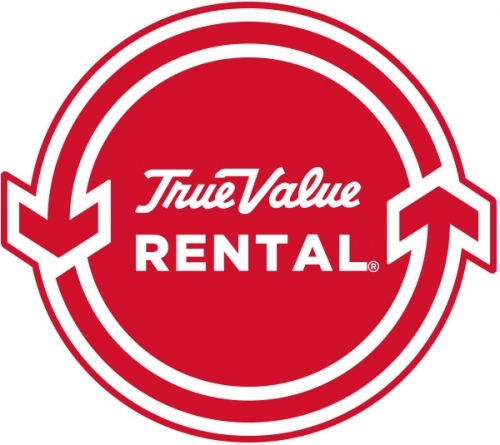 You can rent attachments such as trenchers, snow blowers, augers, bucket lifts, backhoe loaders, grapple skeletons, and the list goes on and on. Whatever obstacle you might face, there’s an attachment you can rent to tackle it head on. To give you a better idea, back when I was in school our grounds crew used skid steers to help us get through the harsh winters. Whether we got 1 inch or 1 foot of snow, our grounds crew always used a skid steer with a snow pusher, snow blade, or snow bucket attachment to make sure we could always get to class on time. They can even come equipped with additional attachments such as a salt and sand spreaders or a dust control water kit if you’re working with asphalt. 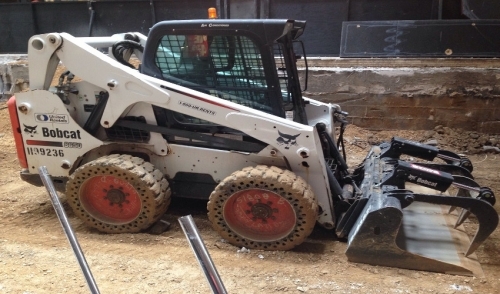 Keep in mind when renting a skid steer loader size does matter. The size of your loader can have a significant impact on its power and capacity to handle a specific job. For example, a smaller skid steer would not have the same impact on a roadbuilding job like it would on a landscaping job for someone’s backyard. In order to move heavy rock and mill a few inches of concrete, that roadbuilding crew would require a skid steer that is much larger and powerful. The most commonly used skid steer size is the 1,751-2,200-lb operating capacity model. The models range from zero to over 2,700-lbs in rated operating capacity. Make sure to ask the right questions and consult with a rental product manager before renting a skid steer to be certain you don’t get more or less than you bargained for. The skid steer’s applications to the working man are endless. Given its power and versatility, it truly is a jack of all trades machine. Stop by your local rental dealer to learn more about how you can rent the perfect skid steer for your job today. © 2015 Taylor Rental Center of Rollinsford, NH. All rights reserved.